Use the Types View to see where a specific function is declared. For example, type . 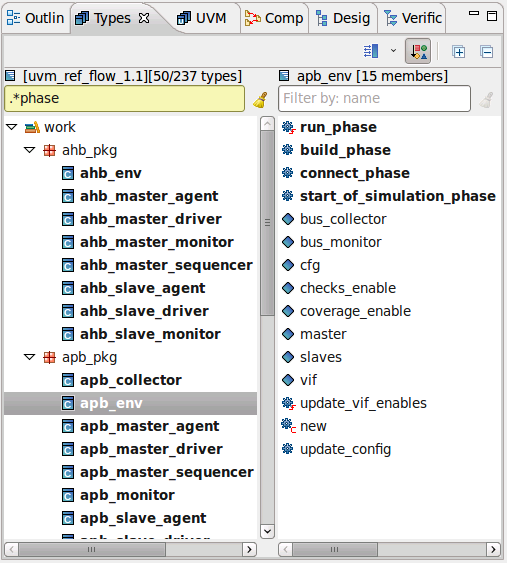 *phase in the Types View Quick Search to locate all UVM phase overrides. The classes that contain the declarations are bolded. The matching type members are also bolded and promoted to the top of the members pane.